Bell Long Ranger used for utility work. After writing several articles on SMS and as a member of the U.S. Helicopter Safety Team (USHST) SMS Committee, I set out to find out which operators and flight schools are actually using SMS in their daily operations. I know that most of the larger operators have a formal safety management system, or SMS, but it’s the smaller organizations that we are hoping will see the value of SMS. USHST’s SMS challenge is to promote safety with smaller operators or flight training programs and to encourage the use of SMS as part of a safety management plan. 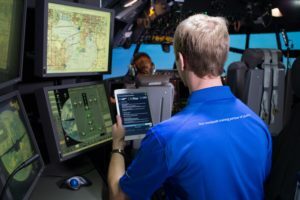 I was particularly interested to see if flight instructors understood SMS and had the capability to “transfer their knowledge” to their students to instill a life-long safety culture that we always promote. Let’s look at Colorado Heli-Ops (CHO), a flight training program I recently spent a few days with. CHO has been owned and operated by Dennis Pierce for over five years, and the company is constantly expanding. CHO operates a flight training program, Part 91 helicopter tours, photography flights and utility type of rotary-wing service. 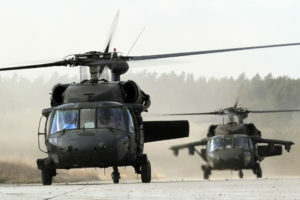 The company operates three Robinson 22s, two R44s, an R66 turbine aircraft and a Schweitzer 300. They also lease a Bell Long Ranger for their utility work. Their flight training program is where I spent most of my time. CHO employs both full-time and part-time flight instructors. I was particularly interested in their SMS program and how it was implemented. I asked Pierce why he instituted a safety management system, and he explained that it was the right thing to do and that some of his utility contracts insisted on an operator with a viable safety program. Heli-Ops’ team takes maintenance very seriously, and it shows. Pierce recognizes that safety helps business and that he has a responsibility to provide his employees and customers with a safe environment in which to operate. He considers this a “sacred trust.” His safety philosophy is outstanding. CHO was the first helicopter flight school in the nation to implement a curriculum-wide FAA FITS Scenario Based Training program, and herein the students are regarded as “pilots in training.” Pierce believes good decision making skills make safer pilots, and he sets an excellent example, leads from the front and sets the tone for safety. He provides excellent mentorship for his employees, which encourages the staff to stay highly motivated. It is evident from the start that there is a very active safety culture. Kenton Masters is CHO’s safety manager who oversees the mechanics of the SMS program; he is a high-time CFII with previous SMS experience. I reviewed their entire operation, including their SMS program, and went through the process a pilot in training would encounter while preparing for a flight up to and including the flight itself. I observed how his instructors conducted briefings, weight and balance, weather updates, pre-flight inspections. Their SMS document (produced and put in place with the help of Mike Franz from Helicopter SBT) is very good and each employee/pilot is not only aware of it, but knows how to use it. CHO conducts weekly safety meetings that all attendees are paid to attend. Issues are discussed and assigned with a suspense date to the appropriate individual for mitigation. They have a good Flight Risk Assessment & Mitigation Tool (FRAMT) tool for managing risk (modeled by Helicopter SBT and initiated by their Chief Pilot Dave Dziura). The office personnel are also familiar with safety procedures and test these procedures monthly. Robinson R66 used for training and utility work. High time career flight instructors lead the Heli-Ops team because of the industry best practices theme of operations and commitment of management to support a daily safety culture. Because of the excellent relationship, there is a low turnover rate. Their hiring process is extensive and they look for just the correct mix of low and high time instructors (they have hired every single CFII that they have produced and have four more coming up soon). They look at the “whole person concept.” They conduct extensive background checks. They also require in-person interviews with a roundtable type discussion involving key players in the organization. Dennis also has as part of the hiring process what he likes to call “ECHOING,” which is a back-and-forth email discussion with a potential team member and himself, whereby each person documents what they heard in the interview, thus removing all doubt in communication. He also pays double what the industry is paying presently for flight instructors. In summary, Colorado Heli-Ops pays much attention to the issues in my September article on PRIA and hiring potential pilots. CHO’s maintenance director is required to be a part of the SMS process. Anyone involved with providing services to the maintaining of the aircraft must know and understand their safety program. The director and the mechanics are required to attend weekly safety meetings. CHO uses FRASCA and Merlin Flight Simulators to enhance safety and training and, after months of searching for an updated system, have ordered a state-of-the-art Elite Simulator Solutions TH22 Flight Training Device. At CHO, safety starts with the first day of training. 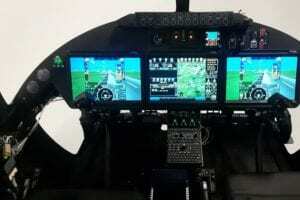 They use SMS in flight training operations and education. CHO strives to develop the SMS concept in every level of a pilot’s training with the goal of providing a good foundation for a successful safety culture. 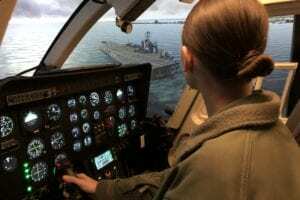 Pierce believes that learning to fly at a flight school with a functioning SMS program will enhance a student’s ability to be a safer and more professional pilot throughout that pilot’s career. Dennis looks at the results of implementing a good safety program in three areas: increased situational awareness, empowerment and credibility. This is part of his leadership philosophy to empower his employees to have a “stakeholder” position in his company. Remember: safety management is the process and improved safety means improved business. Colorado Heli-Ops has an outstanding safety management system. The safety culture begins with good leadership and permeates down to all employees. There is a very professional attitude with the pilots and good morale throughout the company. CHO is providing a good foundation for CFIs to transfer safety management knowledge to their students to include safety as a “value” of a good pilot. CHO is setting the standard as a good model for other flight training programs in general aviation. The USHST SMS Committee constantly promotes SMS for all operators. If anyone would like to learn more about implementing SMS in their company, feel free to contact myself or Dennis Pierce. Most importantly, SMS reduces risk and does not have to be expensive to work.